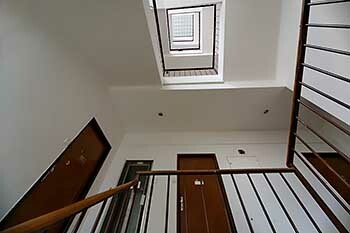 The flat on the fourth floor (house with elevator) has one large bedroom, small kitchen with shower bath, separate toilet and small entry hall. 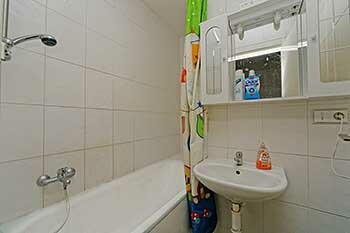 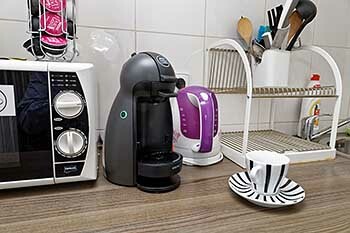 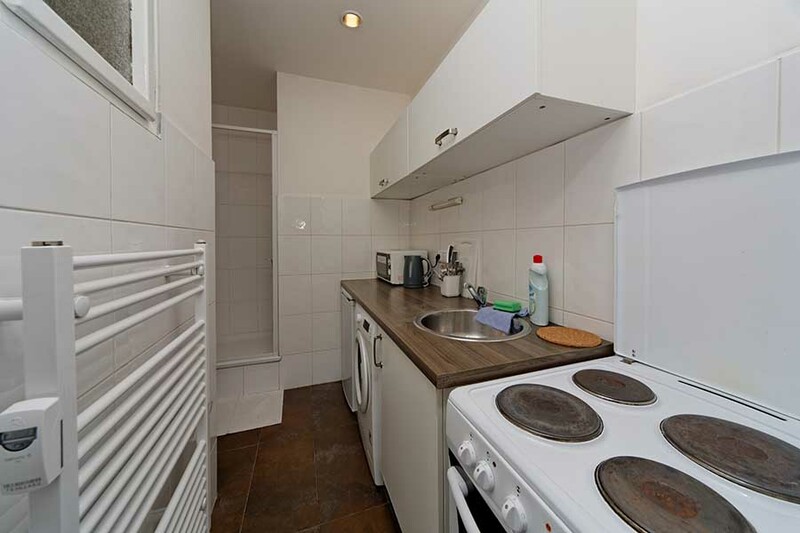 The whole surface of the flat is 30 sq.m./323 sq.ft. 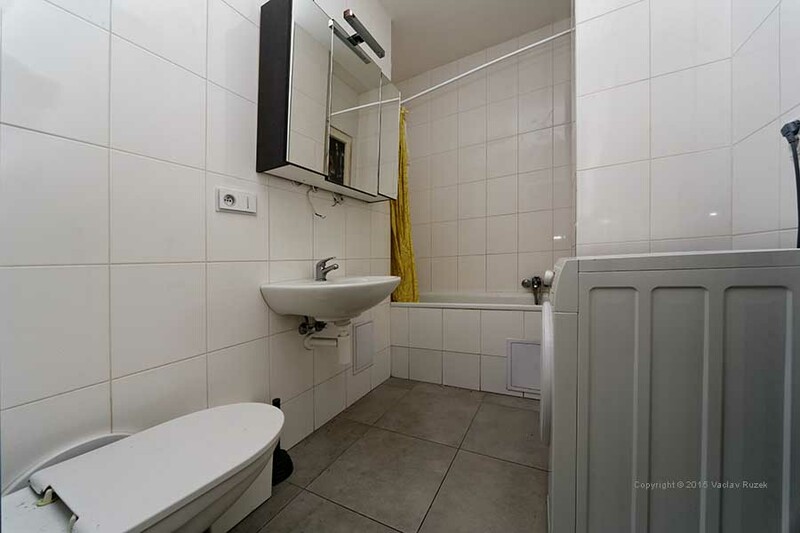 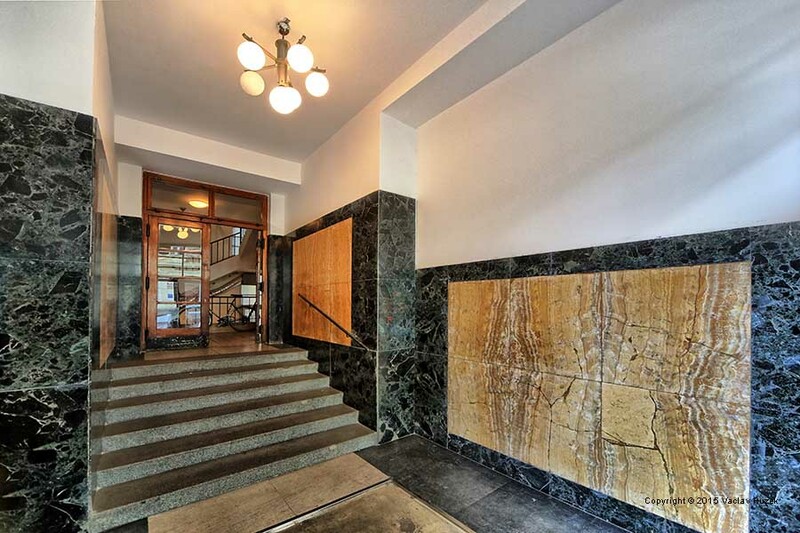 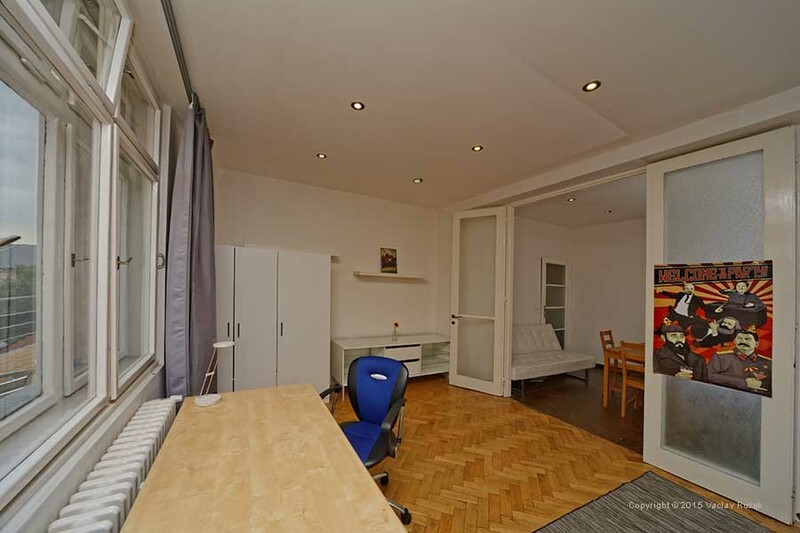 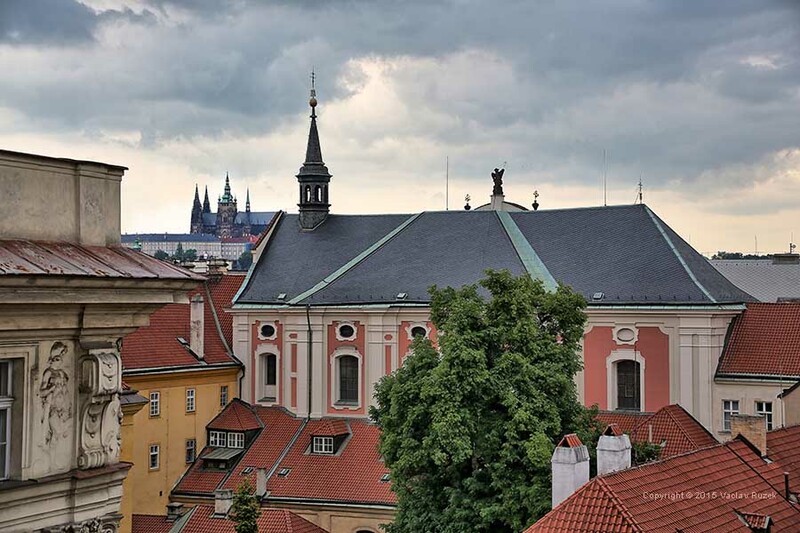 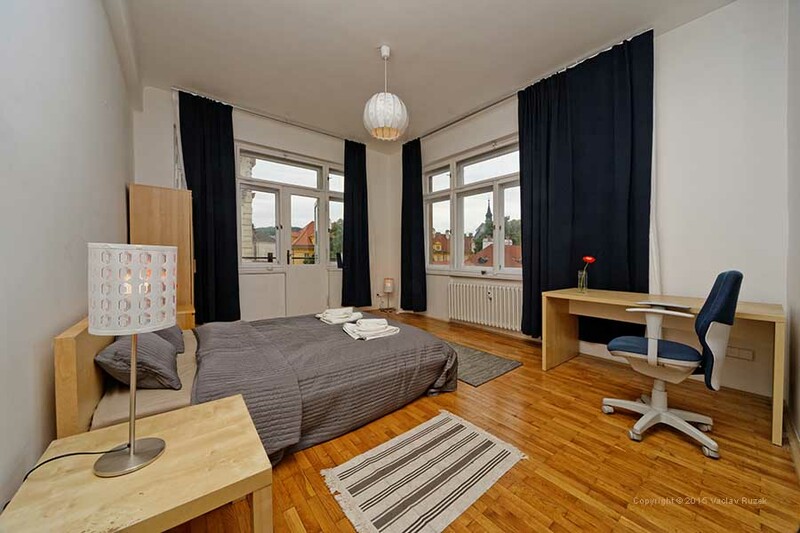 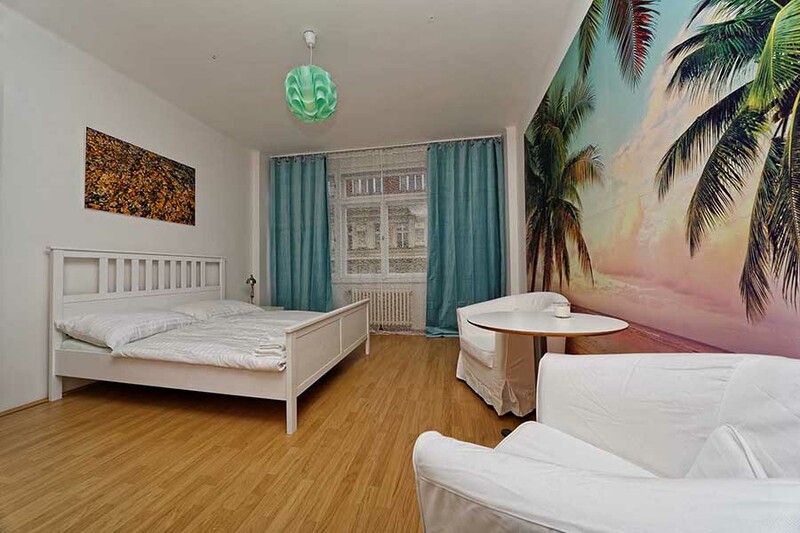 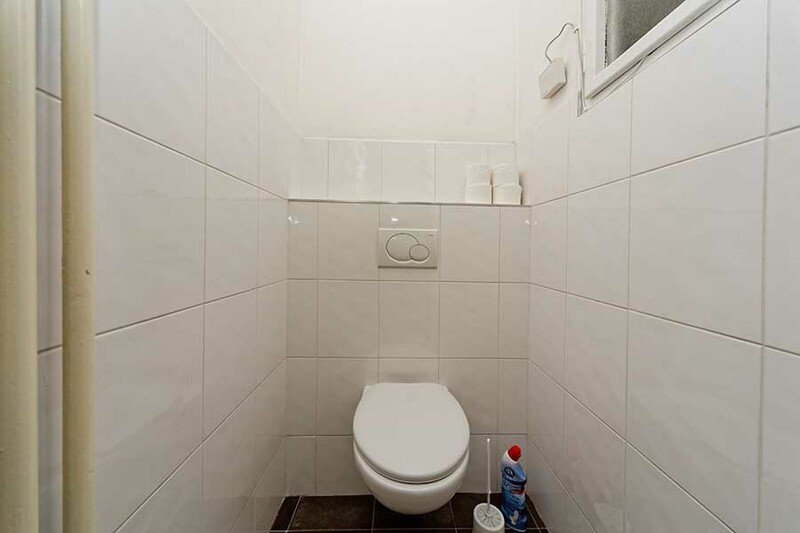 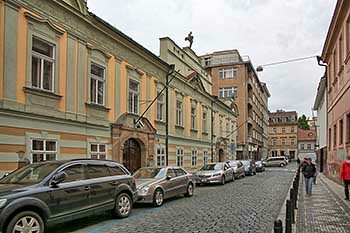 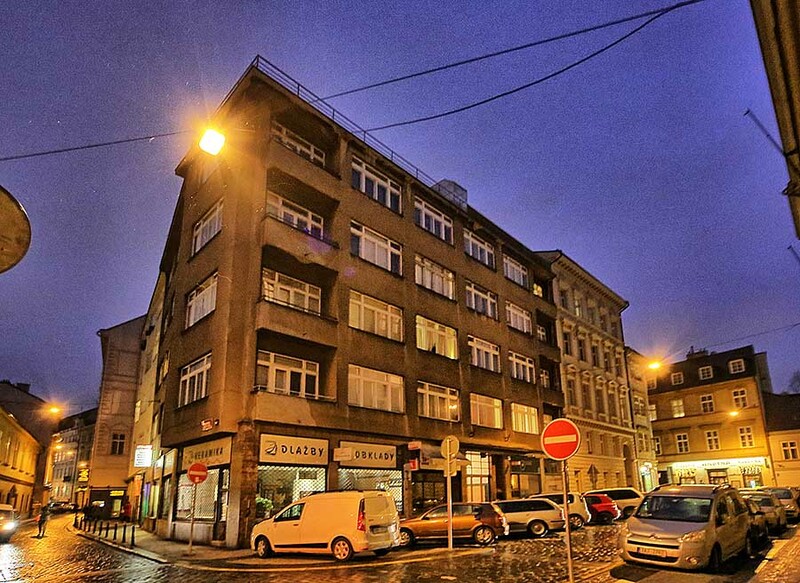 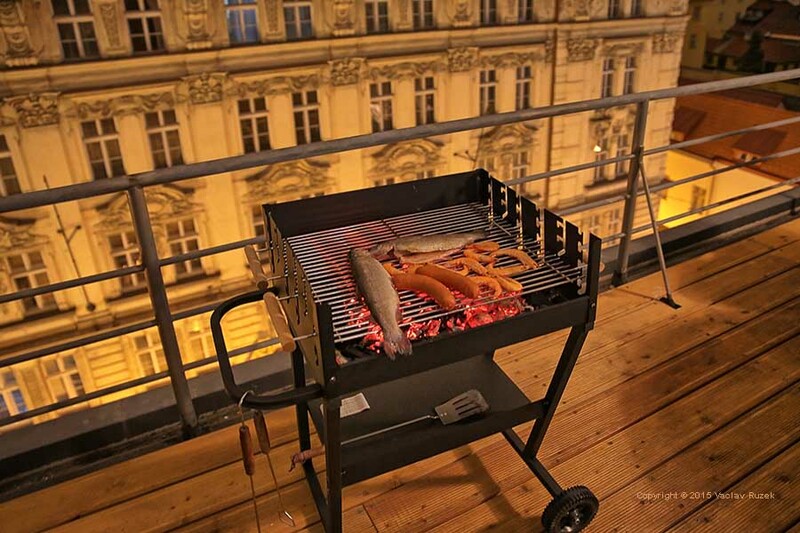 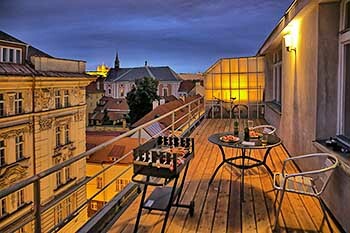 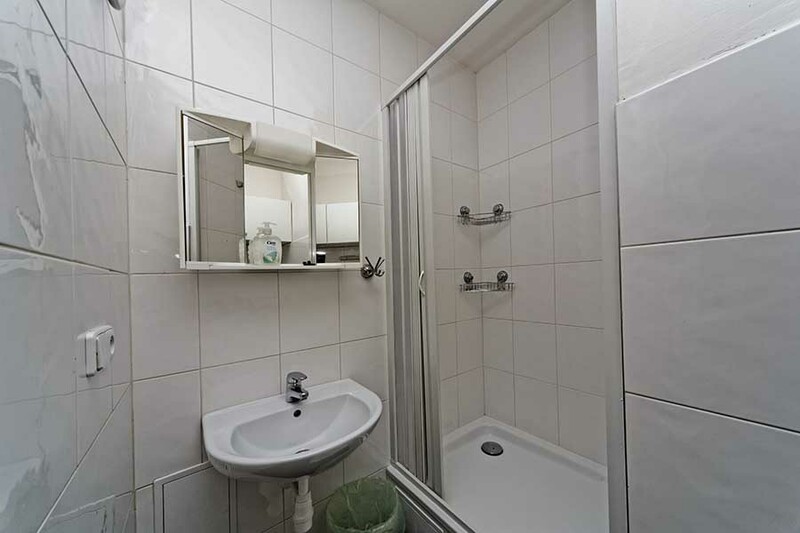 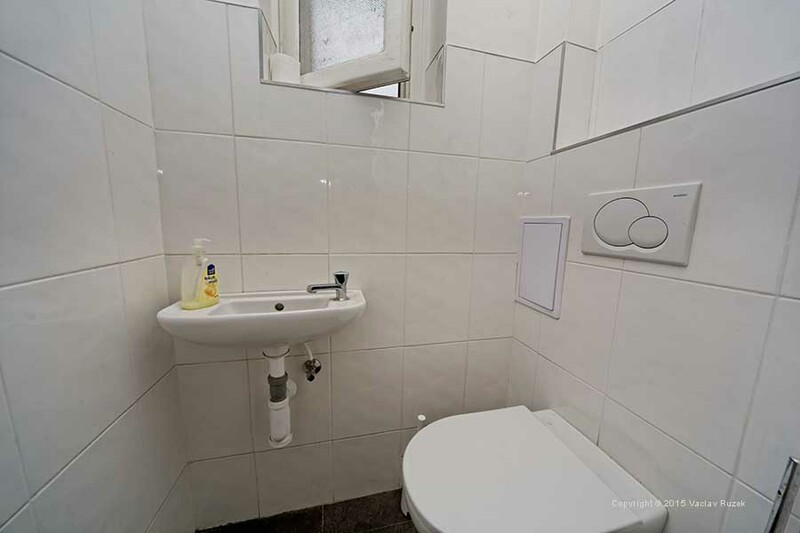 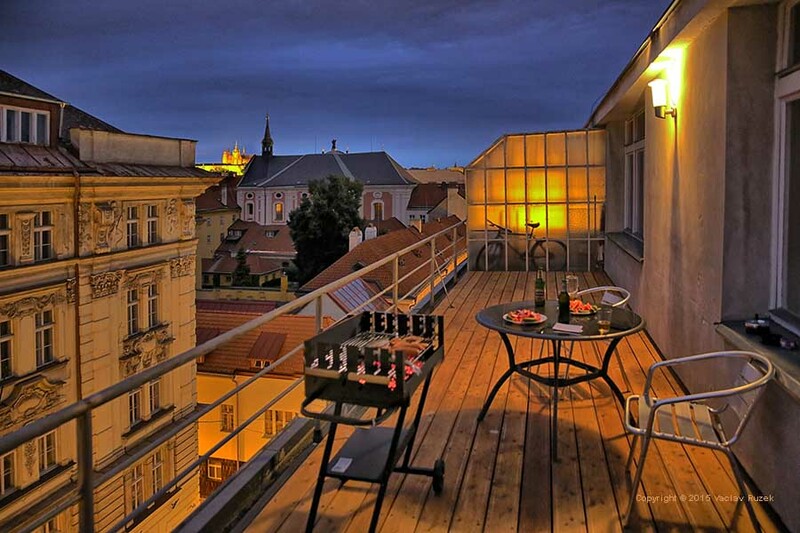 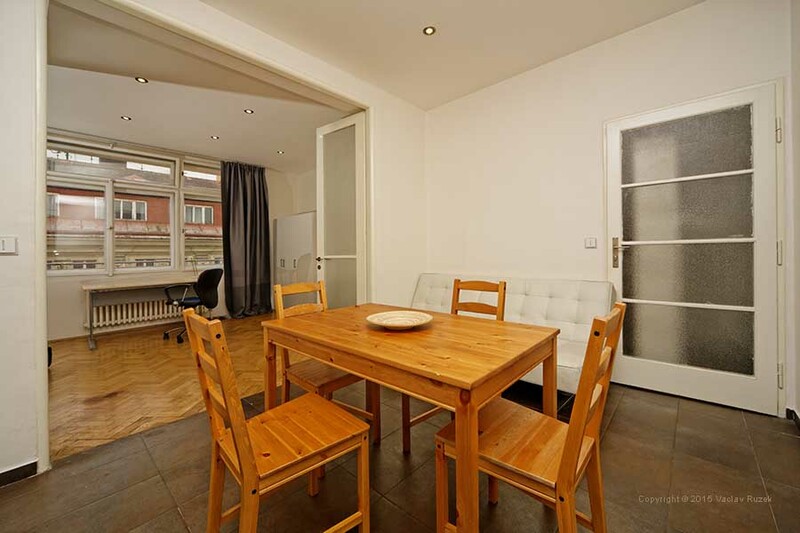 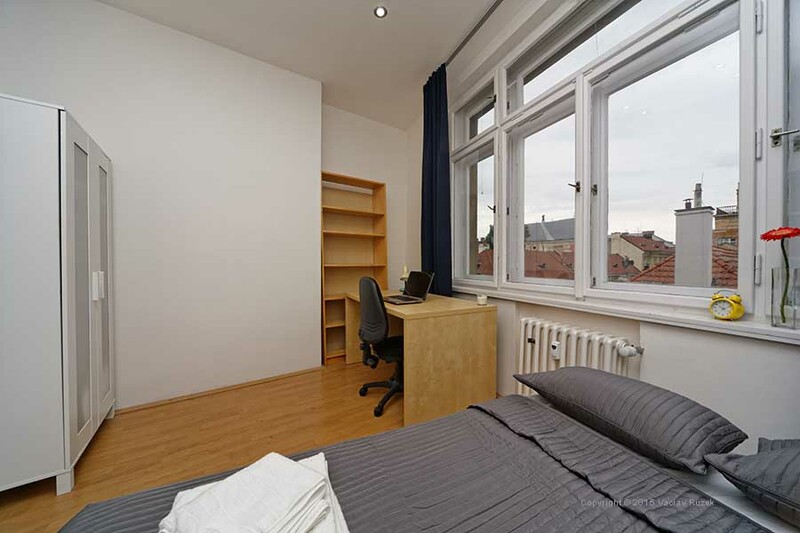 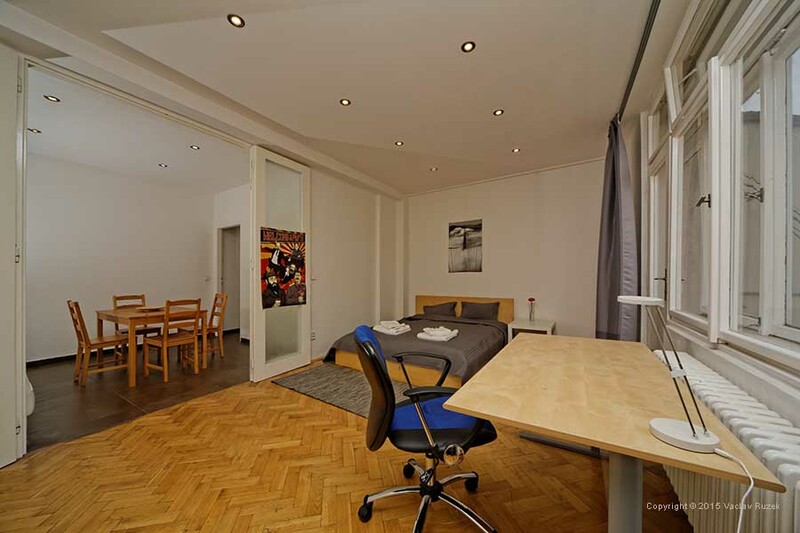 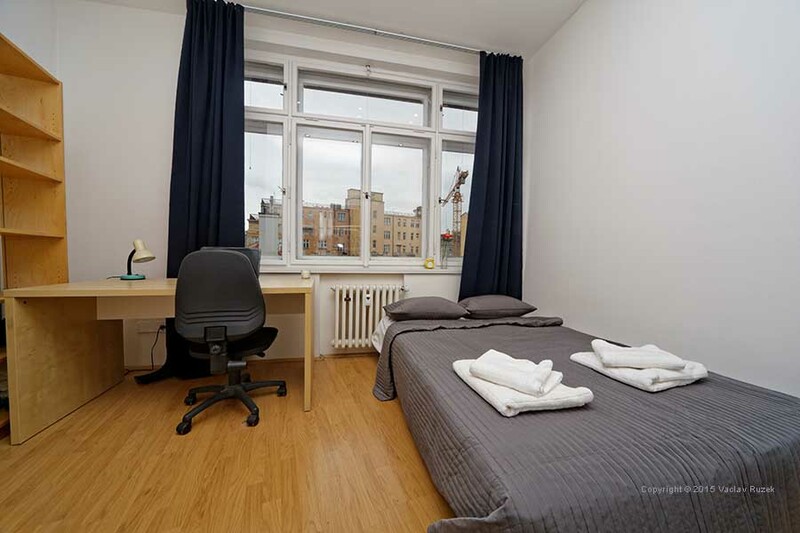 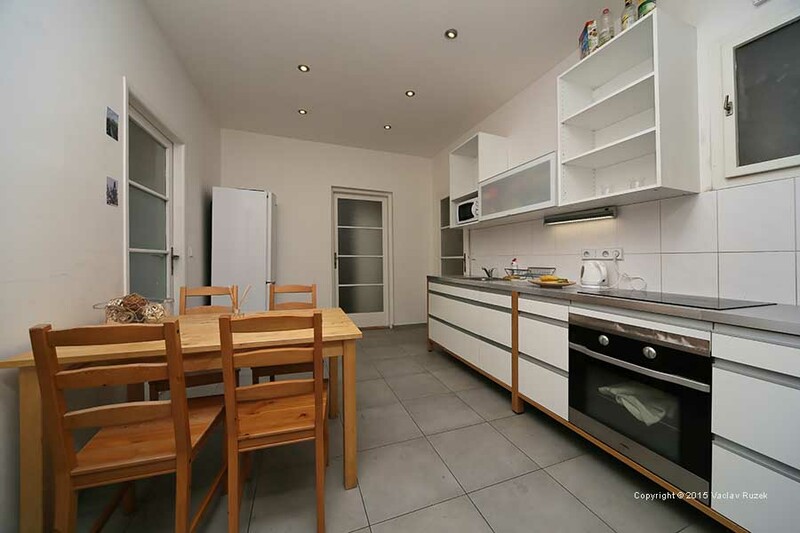 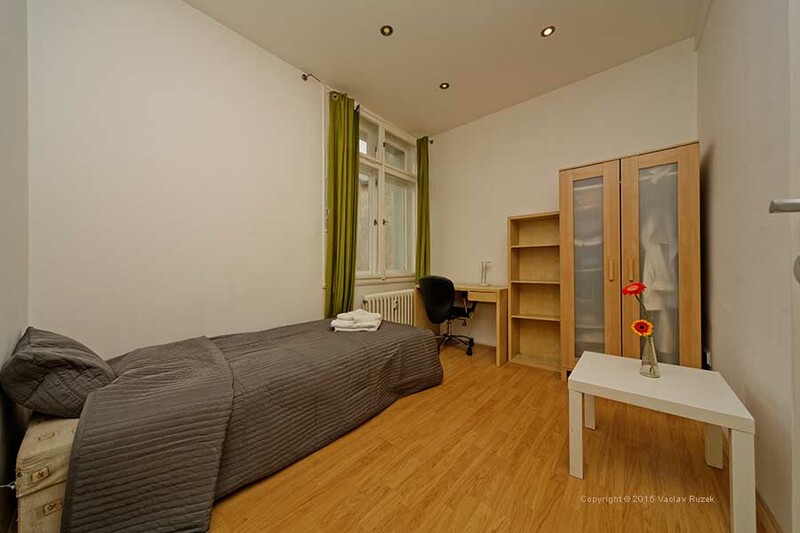 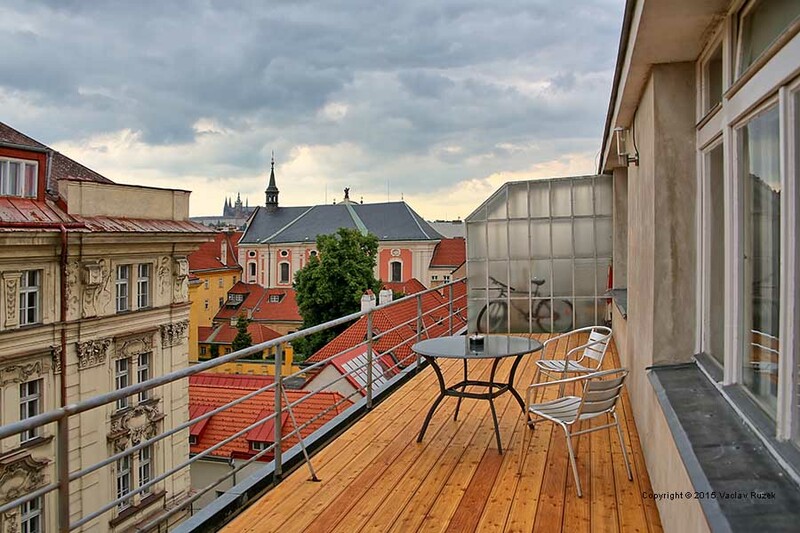 The flat on the fifth floor (house with elevator) has a large terrace with view of the Church St.Vorsila and Prague Castle, 2 large bedrooms, a third small bedroom, kitchen and dinning area in the center of the flat. 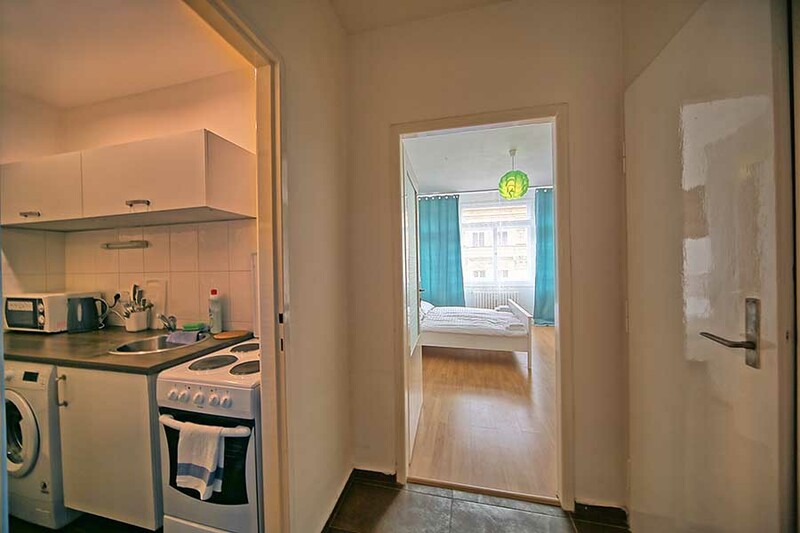 The whole surface of the flat is 92 sq.m./990 sq.ft. 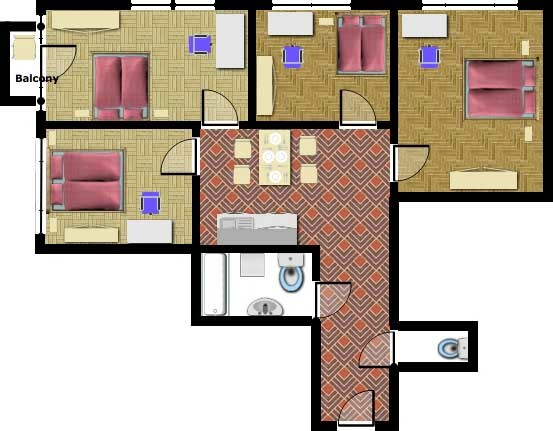 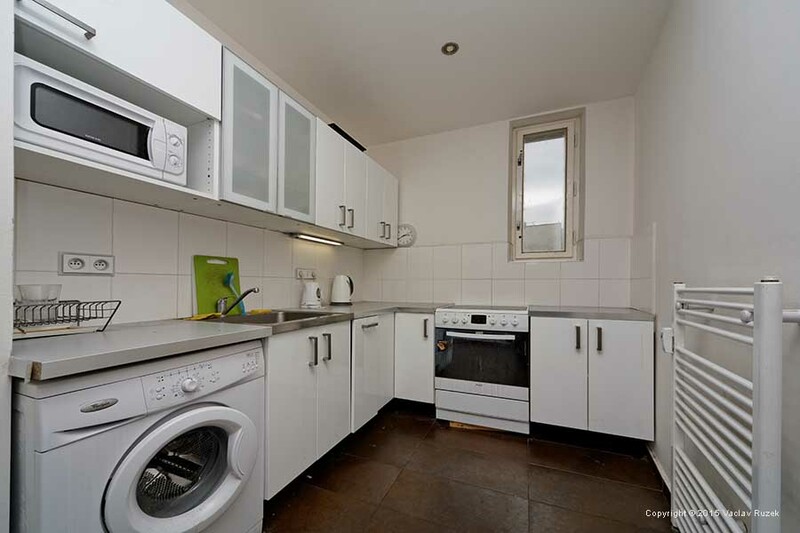 Two similar spacious flats on the second and third floor (house with elevator) have both 4 bedrooms, each with double bed, a central kitchen with dinning table, bathroom and separate WC. 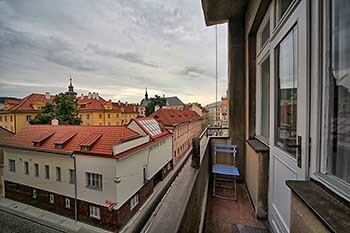 Both flats have a balcony facing the street. 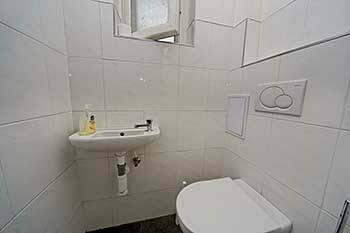 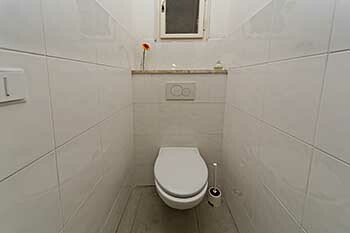 The whole surface of one flat is 102 sq.m./ 1098 sq.ft. 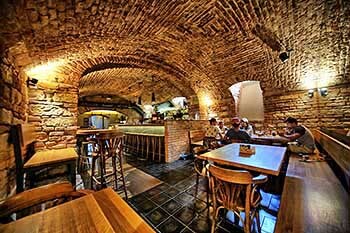 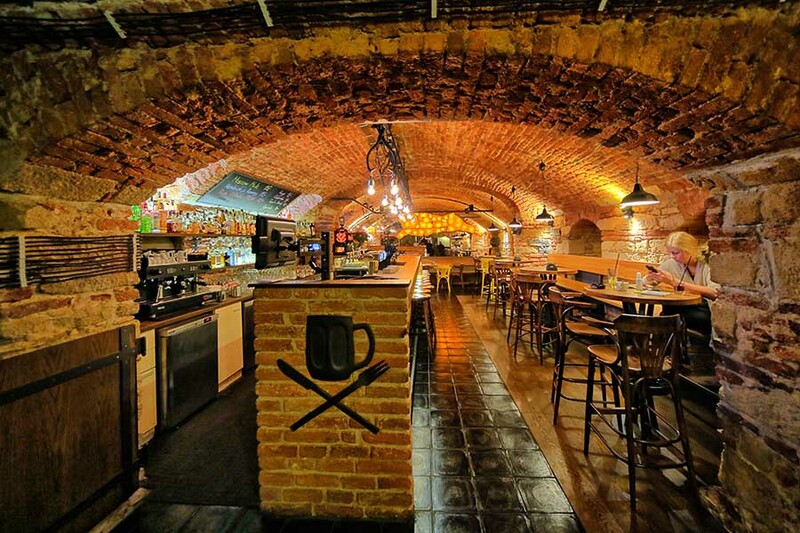 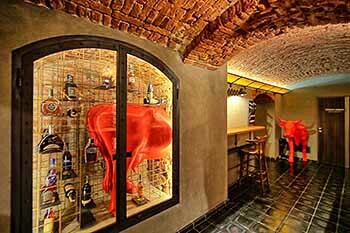 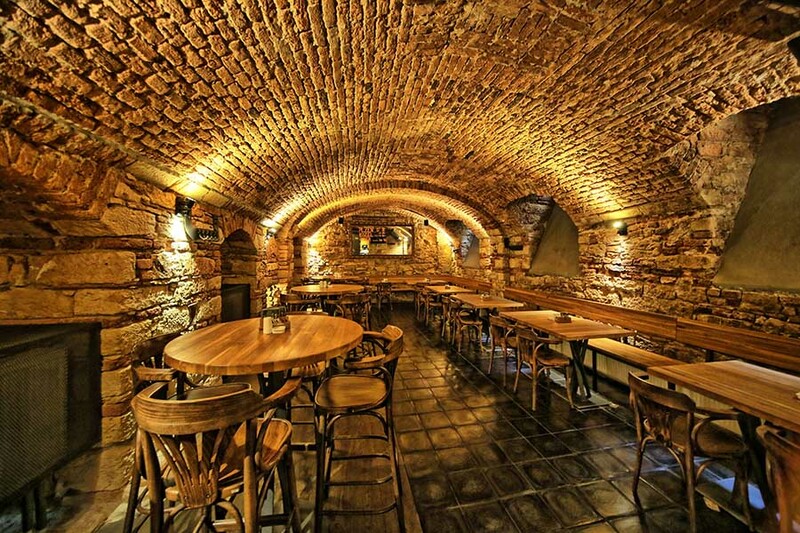 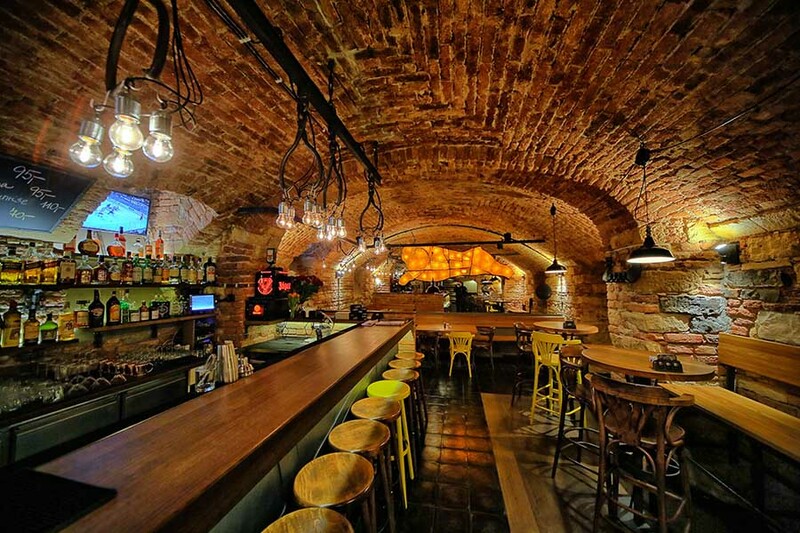 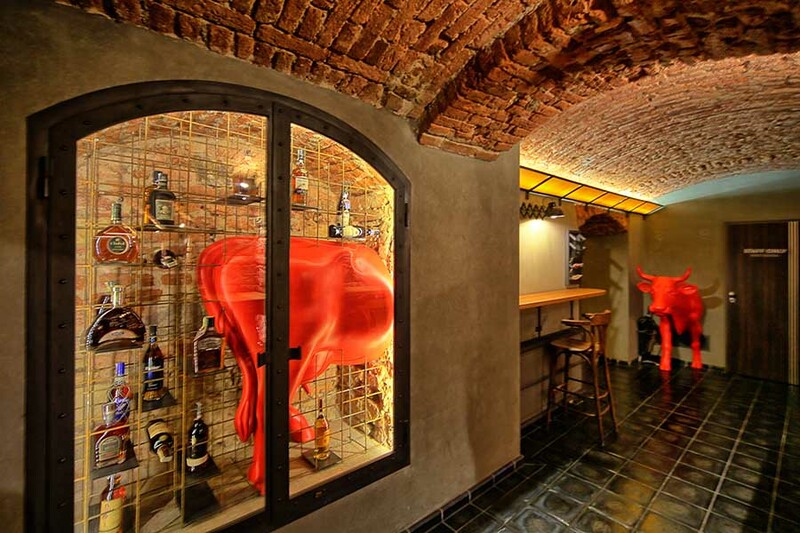 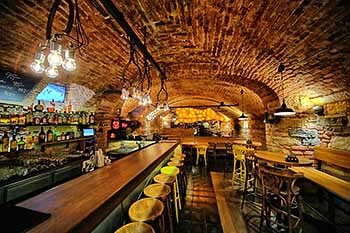 There is a new design restaurant Ostrovni / Serial Burgers just around the corner. 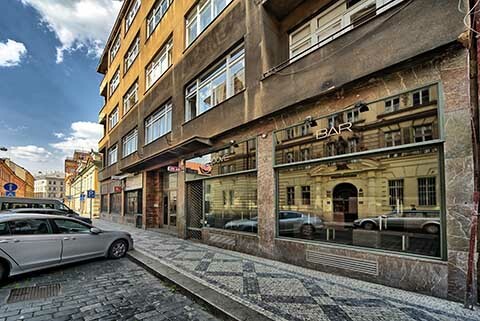 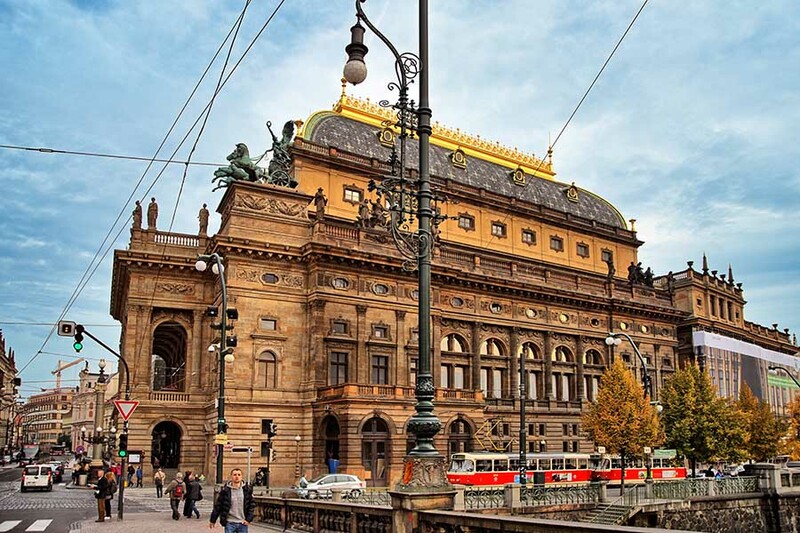 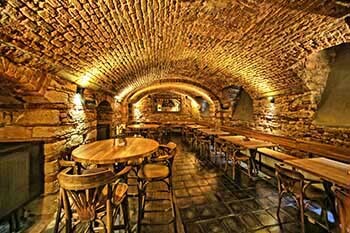 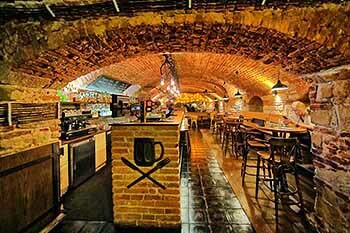 Very close to Vorsilska Apartments are National Theatre (you can use also its parking garage if you arrive by car), well-known historical brewery and beerhouse U Fleku, shopping centres Quadrio and My Národní as well as Reduta Jazz Club, Rock Café, Rock club Vagon etc. 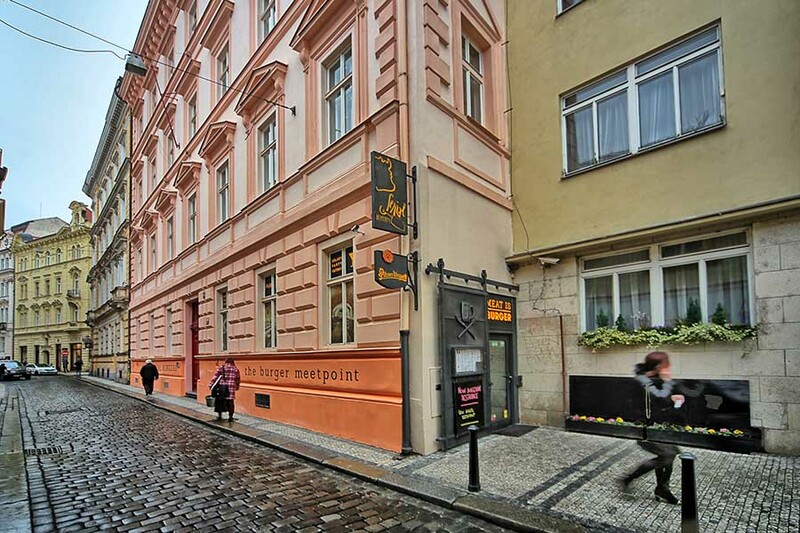 To the edge of the Old Town its only 2 minutes walking. 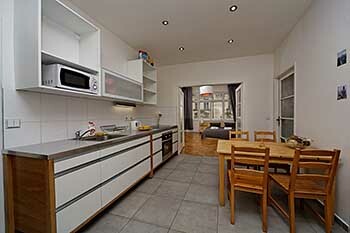 Three bedroom apartment with terrace is available June-August + New Year. 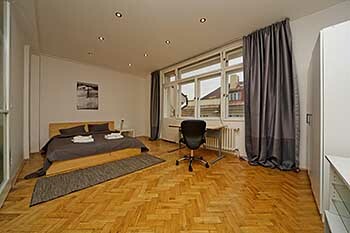 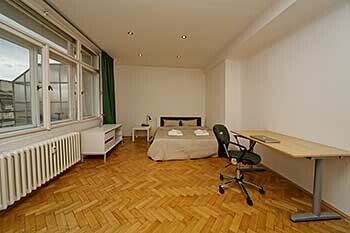 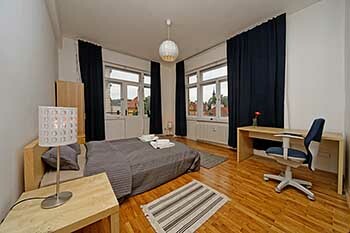 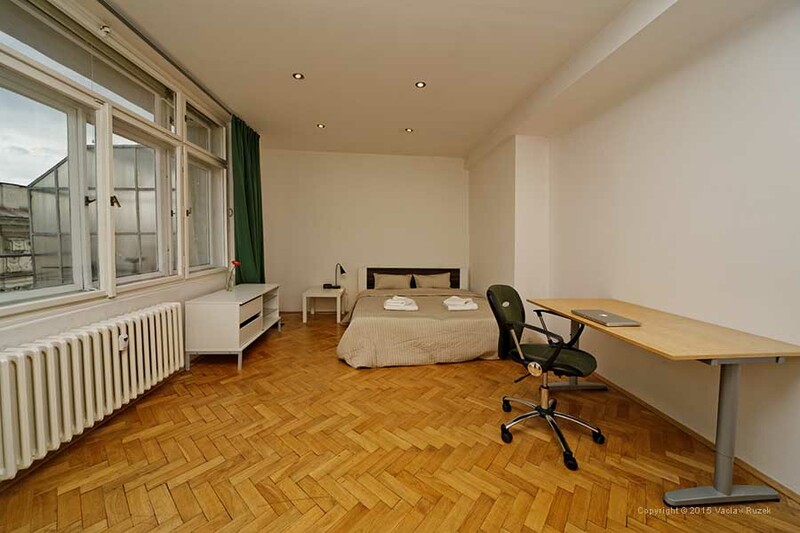 Two 4 bedrooms apartments with balcony are available in July + August. 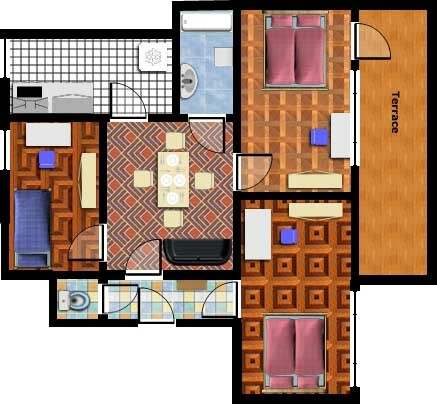 One bedroom apartment is available whole year. 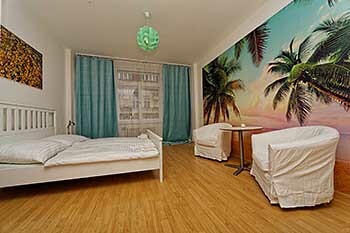 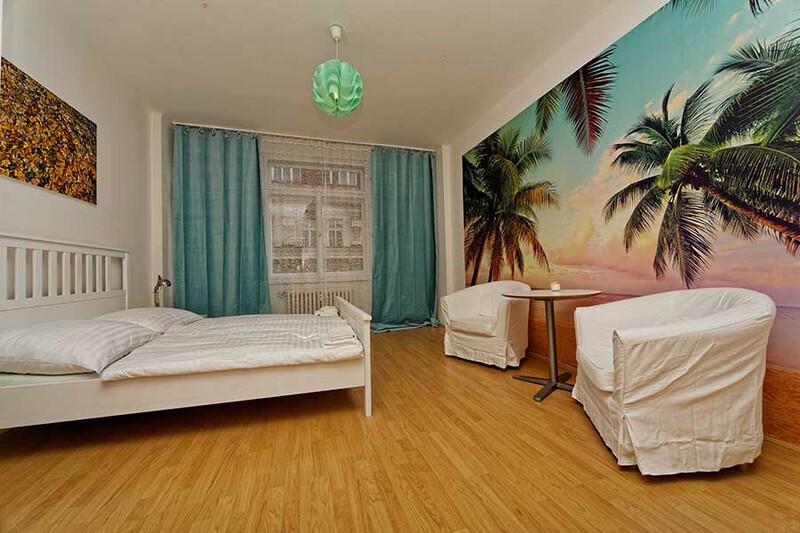 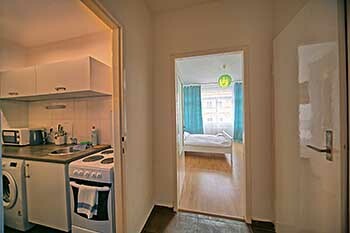 The price is for 2-8 persons per night, including bed linen, towels, internet connection and energy consumption. 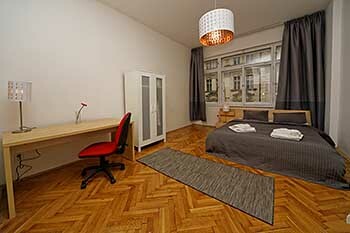 For short stays less than 4 nights there is one time fee - 80 € (40 € for 1 bedroom ap.). 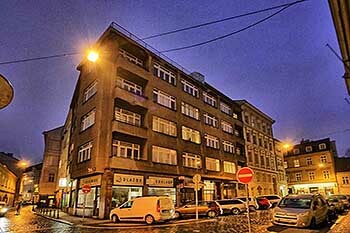 For New Year reservation there is a 5 nights minimal lenght of stay (or the minimum total 1900 € independent on number of nights or 900 € in 1bedroom). 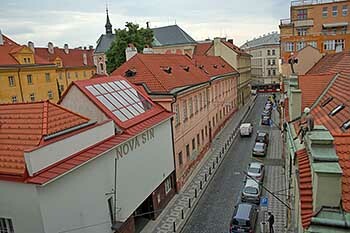 Parking is possible in very near garages of the National Theatre (3 minutes on foot) - it cost 27€ /first day and 18€ /day the rest.